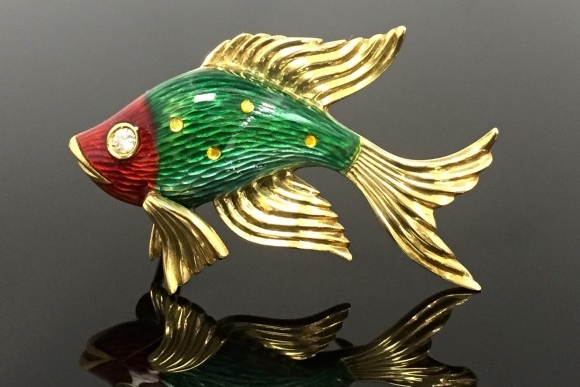 Hand enameled in the Guilloche technique from Italy, this 18K yellow gold fantail fish is exquisite. 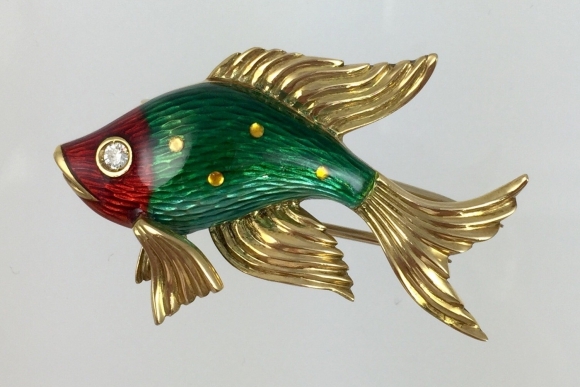 Flawlessly translucent enamel in red and green, with luminous gold detail work, and a diamond eye make this brooch a standout. 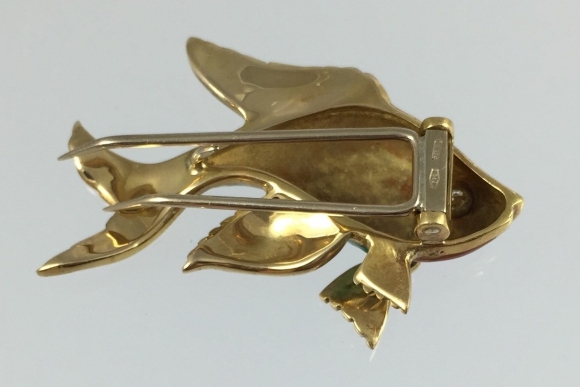 Though far more beautiful, this little fantails mouth brings to mind the incredible Mr. Limpet. While awed by the masterful craftsmanship, this bit of whimsy cant help but amuse! Sure to bring exclamations of delight on every wearing. Secured by a substantial two prong fur clip. 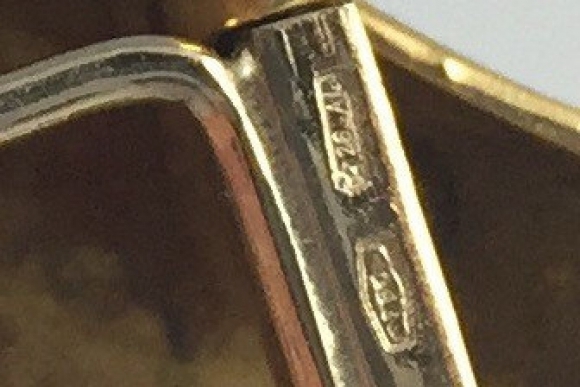 Measures 1 5/8 x 1. Excellent condition.